Become part of a family of other veteran-owned businesses working together to ensure our members succeed in corporate and government contracting. Being a member of the VetConnect program offers a number of benefits to business owners. It helps increase your reach while also earning you a positive reputation within your community. The ability to participate in special local Veteran Owned Business Roundtable events is also a valuable part of the program. When you join the Vet Connect member program you will quickly become part of family of other veteran-friendly businesses. Your business’s name will be placed in the directory of member businesses where users/clients will be able to search for you. You will be joining an inner circle of other veterans and entrepreneurs who support our cause. Being placed in the Vet Connect program can also help build your reputation in your community. Even those outside of the military family have high regard for veterans and their businesses. When you place our badge upon your website or business cards, you are telling the people of your community that you are a part of this very special group and will gain the respect and support of more patrons. The veteran-owned business community is working tirelessly to bring more success and resources to those in their circle. As a result, a number of sponsored events are planned to help you learn more about business and about your unique place in the market. By meeting and discussing essential elements of your business – and what makes you different – you have the ability to learn about and improve your operations with the help of experienced business-veterans who have done it all before. 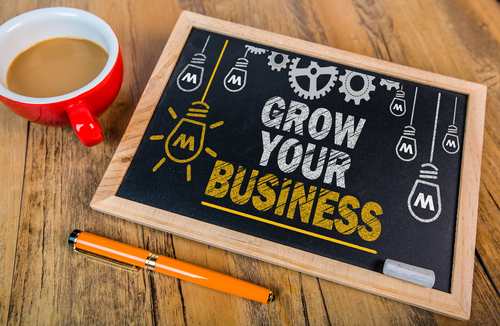 These are just three of the ways that the Vet Connect program can help you grow your business over time. By reaching more people and placing yourself in one of the highest regarded groups in the U.S., you will realize more business and support from your community. In addition, by networking and participating in discussions with other successful veteran business owners, you will be able to learn more about how to grow and improve. There is plenty to learn and networking opportunities as part of the Vet Connect community.